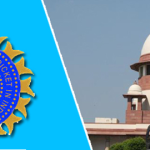 In this episode, two Indian lawyers – Suhrith Parthasarathy and Aju John – discuss the recent Indian Supreme Court Rulings on the BCCI/IPL spot fixing case as well as the conflict of interest of N Srinivasan as BCCI President and owner of Chennai Super Kings. This episode was first published on ESPN cricinfo. This entry was posted in Controversy, Couch Talk, Featured, IPL and tagged BCCI, Chennai Super Kings, Conflict of Interest, Couch Talk, India, Indian Supreme Court, IPL, N Srinivasan, Podcast, Spot Fixing. Bookmark the permalink.